Happy September! Wow, this year really is just zooming by, isn’t it? Okay, quick announcement before we get started. As it is a new month, I will be moving my full length posts back to Sundays, so a bit of a schedule change that I wanted to give you a heads up about. 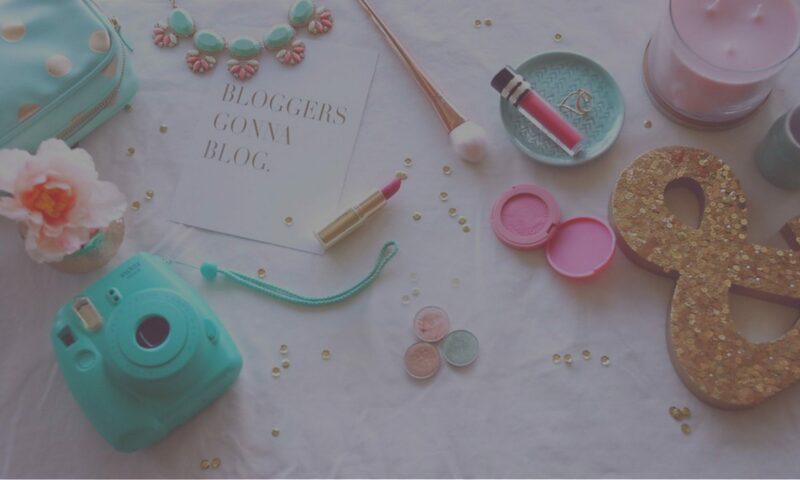 So, the next post you will see will be on Sunday! Now, for the haul. Okay, okay, so I’ve been a little naughty and been a bit spendy… again. Honestly, I really can’t resist a good deal sometimes, whether it be a sale, clearance item, or coupon code which is what led me to buy most of the following items. However, I have reigned myself in for the meantime and put myself on a no buy for now. If you would like to see my original haul, you can do so by clicking here. So, with that said, here’s the new products I’ve collected over these later few months of summer. Let’s kick things off with the big ticket item here. Go big, or go home, right? This is my most recent purchase that I just got in the mail. 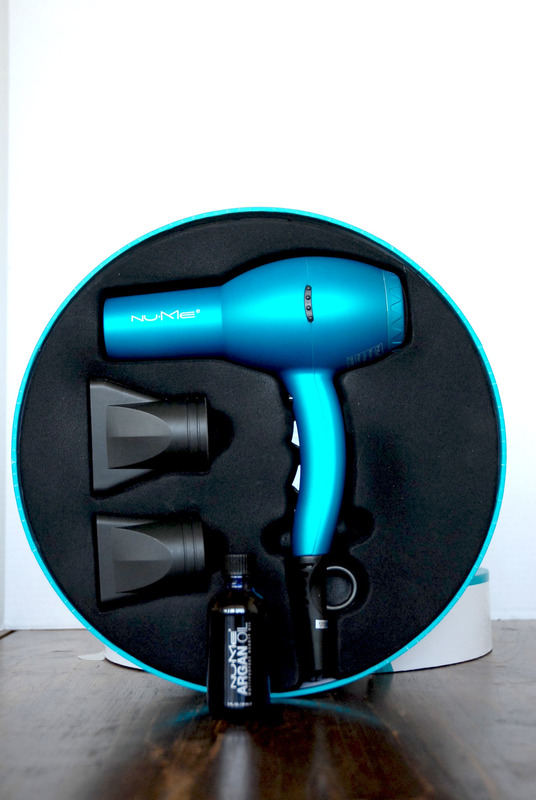 It’s the NuMe Signature Hair Dryer in Turquoise. It also comes in purple, black, blue, and pink. My current hair dryer is almost at its end so I figured it was time to shop around for a new one. I found a coupon code for $111 off this $169 item plus a free Argan Oil as shown here. I used the coupon code SAVE111, in case you wanted to give it a go yourself. It works on any styling tool. (Note: not sponsored) The set is beautifully packaged and comes with 2 attachment nozzles as well. When I checked out, it also seemed that there was a deal to get a free 1 year subscription to Glamour magazine, although it didn’t appear on my receipt and it hasn’t come in, so we’ll see. As for the Argan Oil, however, I looked at the ingredients and there appears to be some fillers in it, therefore I wouldn’t suggest putting this directly on your skin without testing it first, despite it claiming to be an all purpose beauty oil. However, I do think this would be great for hair. I know that I just featured a purchase from them in my last haul, however my yoga class is right next door to this shop so I find it hard to resist popping in every now and again. The Body Shop was having the same offer they had last time where you could Buy 2 and Get 1 free or Buy 3, Get 3 free, and it is still going on. 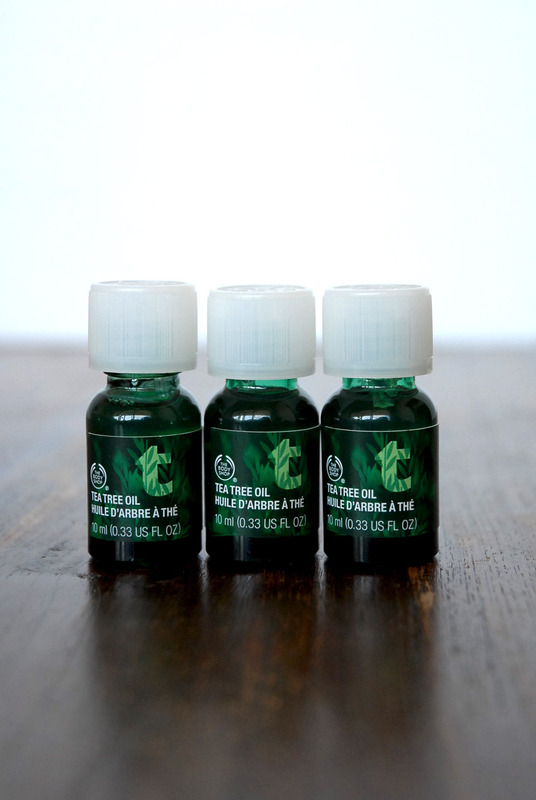 I almost ended up getting 6 of these Tea Tree Oils, total, but figured that I should restrain myself. I featured this product in my Skincare Routine and it has made a world of a difference in helping with my blemishes. I figured while the sale still is on I should stock up. So I walked into Ulta the other week just on a whim and ended up walking away with a few good deals. 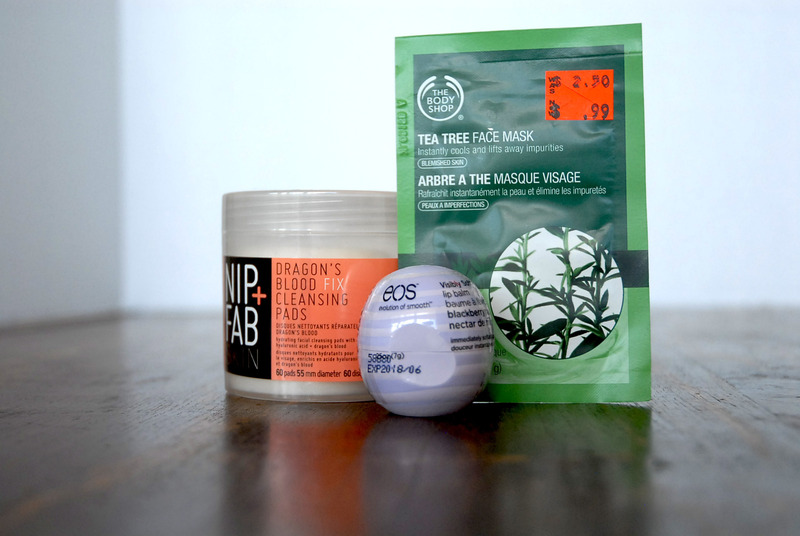 Nip + Fab Dragon’s Blood Cleansing Pads– Recently I’ve really been interested in pre-treated facial pads, as you’ll see in a minute. These were on offer at Ulta for about 50% off recently in-stores, however I don’t think the sale is still on. However, they aren’t that expensive to begin with at around $13 for 60 pads. I was originally interested in the Glycolic Acid Exfoliating ones, but they weren’t on offer, so I picked these up instead. However, these Dragon Blood ones have Hyaluronic Acid instead along with salicylic acid, witch hazel, and dragon’s blood comforts to provide the skin with blemish treatment and hydration. EOS Blackberry Nectar balm– I’ve been looking for the newest flavor of EOS for a while now and finally found it here. I’m a bit of an EOS lip balm junkie, so I really wanted to give this one a go. The Body Shop Tea Tree Oil Face Mask– Although I did make a trip to the actual Body Shop, I saw that this little packet was on clearance for only $.99! I figured this would be a great way to test drive a few new products that I’ve been eyeing recently. Now, these were kind of the leftover bits that I decided to lump together for the sake of efficiency. 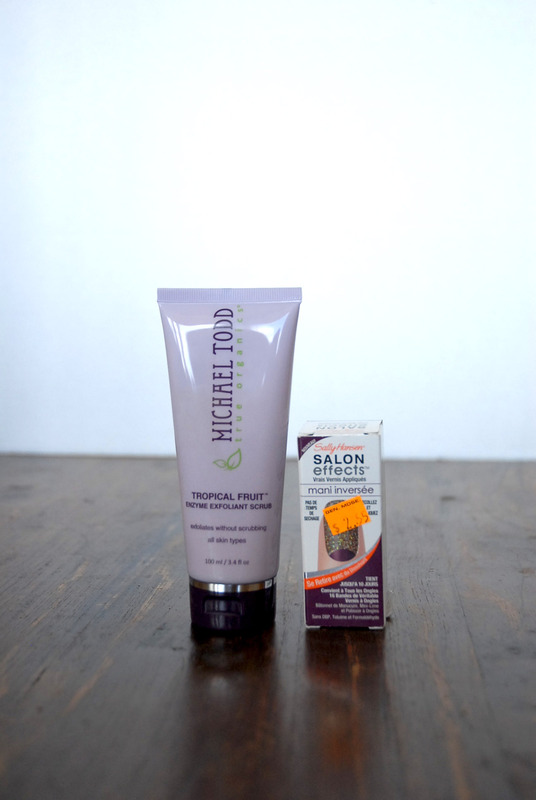 Michael Todd Tropical Fruit Enzyme Scrub– I hauled a mini trial size of this in my last haul and ended up enjoying it so much that I purchased it in full size. My sister enjoyed it too so I ended up buying a two-pack and giving one to her. As always, if you wish to purchase this product or any other Michael Todd item, click here to receive 20% off. Sally Hansen Salon Effects Nail Strips– I fished this out of a clearance bin at the grocery store no less. I’ve used the lace versions of these before and liked them enough to give a new pattern a try. These are the gold glitter and aubergine inverses and I figured they would be great for autumn. Sephora recently had a deal going on where members could earn bonus points on their purchases. I’m a VIB member so I earned 3X the points while Beauty Insiders could earn up to 2X and VIB Rouge 4X. In addition, I was about $50 away from renewing my VIB status and at the same time an offer for a deluxe sample bag. With all of these add-ons, I figured then was the best time to bite the bullet and finally click “purchase” on some items I had sitting in my cart. Becca x Jaclyn Hill Shimmering Skin Perfector in Champagne Pop– I’m obsessed with this stuff and completely afraid that they will pull the plug on production soon, so I bought a back up. If you would like to know more thoughts I have on this product, I recently talked about it in my Summer Favorites Post. First Aid Beauty Facial Radiance Pads– Caroline Hirons raves about these, so I’ve always wanted to give them a go. I purchased them in their travel size with 28 pads. They contain lactic and glycolic acids for exfoliating and cucumber, lemon, and licorice to soothe skin, even sensitive types. Anastasia Brow Kit– This mini kit comes with mini versions of their Eyebrow Gel, Brow Wiz in Medium Brown, and a set of tiny tweezers. 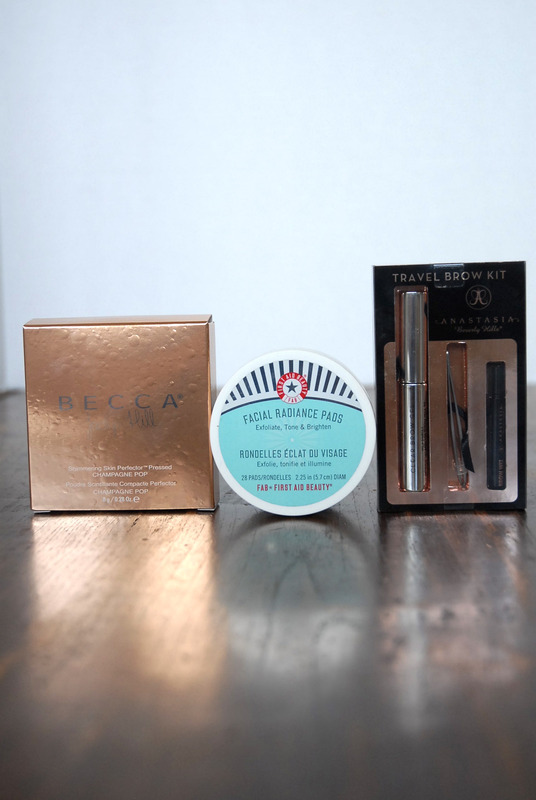 I figured this would be a great way to try some of their most popular products, and the tweezers are so adorable and a perfect handbag size! This is the sample bag that came with my Sephora order. 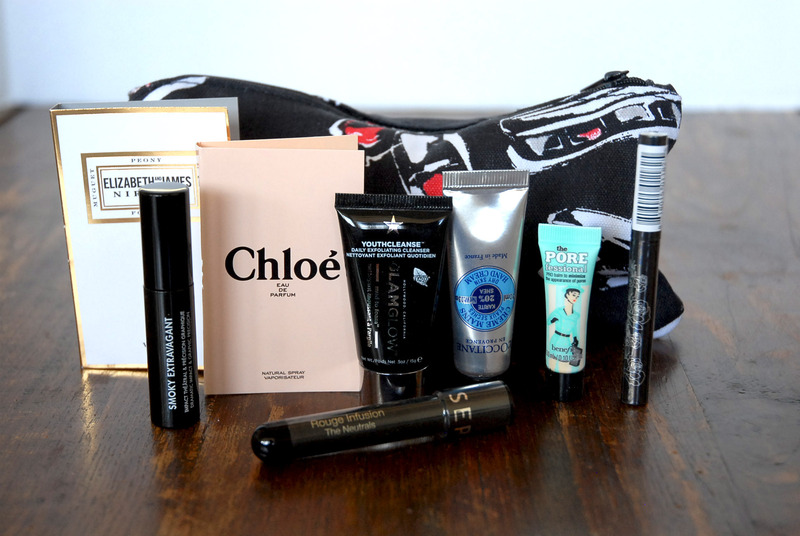 There are tons of deluxe sample sizes in here and the bag in just adorable! Elizabeth & James Nirvana White– I have the rollerball and full perfume of this. I adore this scent. I like the idea of this teeny sample for travel, especially flying. When I fly, it’s mostly been just a long weekend or so when I just use a carry-on. With the liquids limit, it makes it difficult to bring along all the products I want. This would be the perfect size and save tons of room in my quart-sized bag! Chloé Eau de Parfum– This is also a wonderful scent and I only have had the opportunity to have samples as this is an expensive fragrance. Another one won’t hurt. Makeup Forever Smokey Lash Mascara– I already have a few of these from my birthday gift from Sephora last year, so I might end up giving this to a friend, but it’s a great mascara and the size is also convenient for travel. Glamglow Youthmud Mask– I’ve tried the Dualcleanse green version but have yet to try the black one. The white one is the next on my list, but I digress. I hear mixed reviews on these masks, people either love or hate them. So far, I’ve liked them. Sephora Rouge Infusion in Peony– This lipstain looks gorgeous! The color is a lovely muted, dusty pink and I love peonies in real life. They are my favorite flower! L’Occitane Shea Butter Hand Cream– This mini size is the perfect for my handbag! L’Occitane is known for having such luxurious hand creams so I’m excited to give this a try! Benefit Porefessional Primer– If there were a most given out sample, I would have to say it’s Benefit Porfessional. I’ve come across several of these in previous sample bags, but never this teeny tiny size. It’s super cute and small and a solid product. Kat Von D Tattoo Liner– This mini size of my favorite liquid liner is perfect for travel! I’m excited to bring it on my next trip. Alrighty, that’s it for this round up of products. What’s your most recent purchase that you’re excited about? Leave me a comment below or use the following social media links! ah that is so good! !